Meena and Harman are almost too cool to comprehend. They are an incredibly fit couple (Harman is the fittest police officer at the EPS) who are sweet, silly and incredibly in love. We love the classy and casual look that they put together for their Jasper engagement photos. 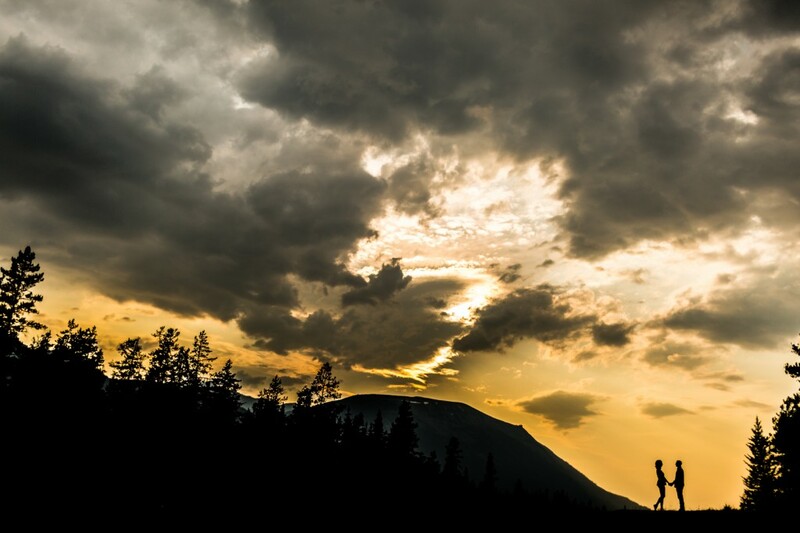 From the first time we met this couple they have been talking about a mountain engagement session. 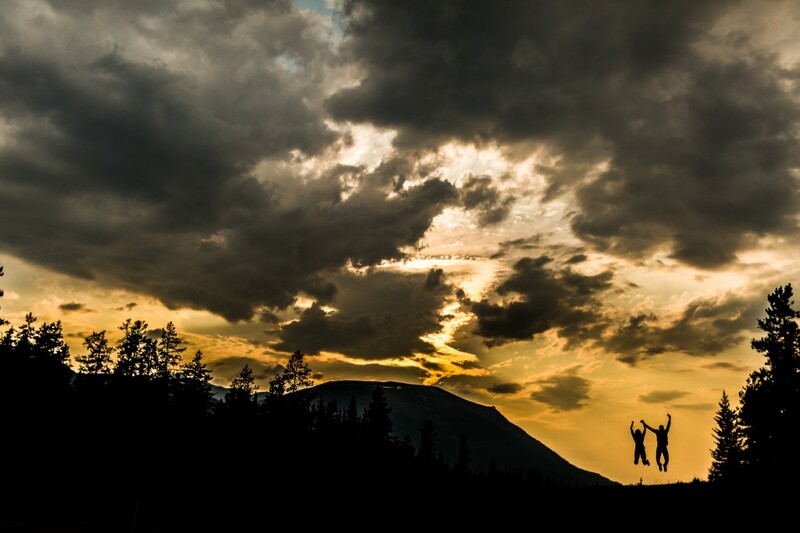 We invited them along for a weekend of camping, hiking and engagement photos in Jasper National Park. 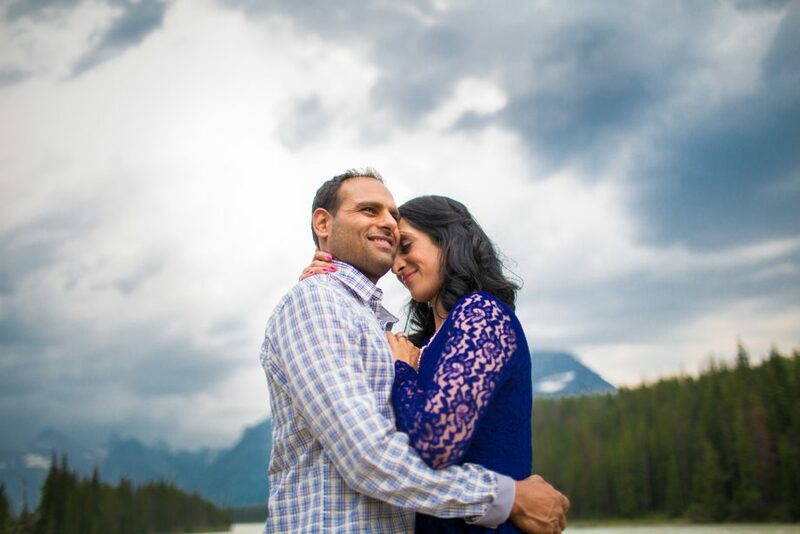 The smoke from the raging Excelsior wildfire burning just outside of Jasper town just added to this couple’s smouldering love. 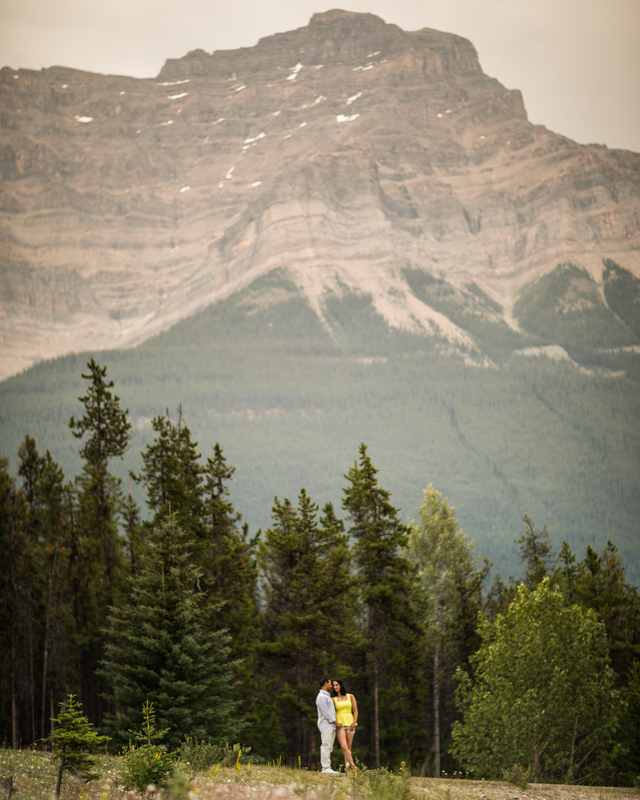 For this mountain engagement session we decided to explore the beautiful Icefields Parkway that runs south of Jasper. 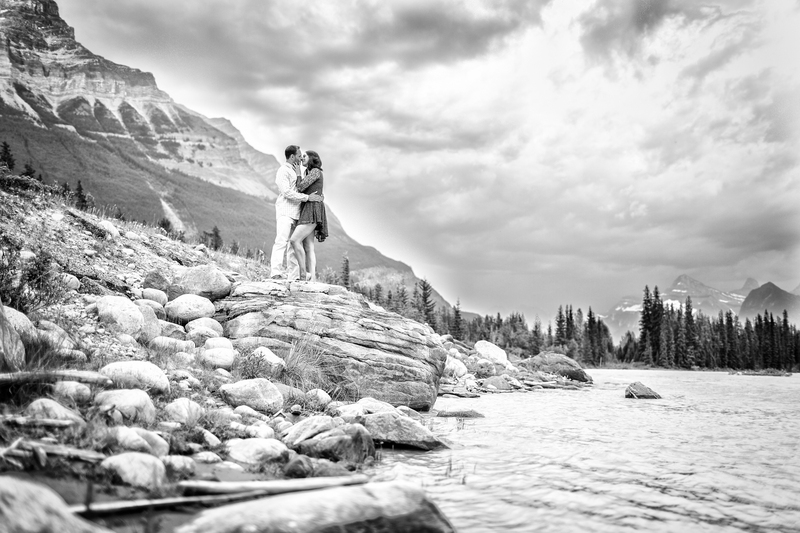 The mighty Athabasca River set against Mount Kerkeslin was a perfectly romantic setting for these Jasper engagement photos. As the sun started to set, Meena and Harman changed into their casual clothes and took a quiet and romantic walk down by the river. We happened upon a couple of adirondack chairs – the symbol of relaxation and of a romantic mountain getaway. 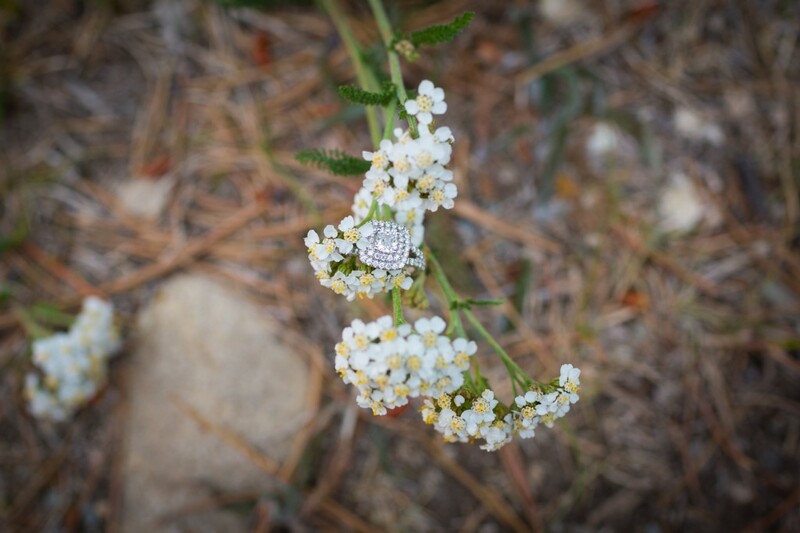 The mountains are a beautiful destination for engagement and wedding portraits. We absolutely jump at every opportunity to photograph couples in these stunning surroundings. Whether it is in the summer, autumn, winter or spring, the rocky mountains stand as one of our favourite backdrops. It is easy to see how much this couple adores one another, from gently holding hands to passionate kisses. We cannot wait to photograph your wedding in Mexico next summer! We try to coach all of our couples prior to an engagement session so that we can truly capture their unique personalities. 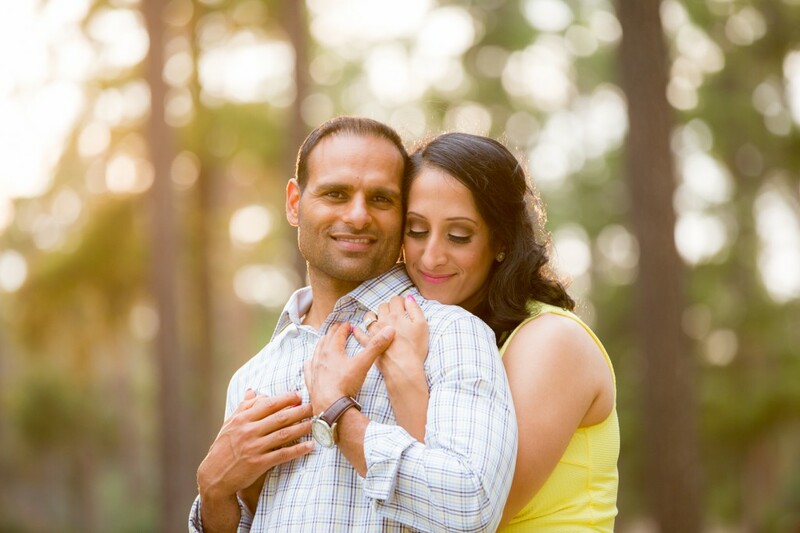 Check out our free guide on preparing for engagement pictures and let us know what you think. We hope it helps you as you get ready for your engagement pictures.